Anastasia Eggers scrutinises the absurdity of a slowly growing phenomenon called ‘food nativism’ through the journey of Sonya, a fictional character in the year 2032. By rethinking the way we understand culinary identity and the tradition around it, the critical work highlights cultural tensions and frictions connected with globalisation. Food nativism is a top-down imposed resistance to foreign gastronomy due to national pride in culinary traditions. Often the question how those traditions were constructed is ignored. The character Sonya, a ‘product’ of globalisation, lives in a world where borders are closed. 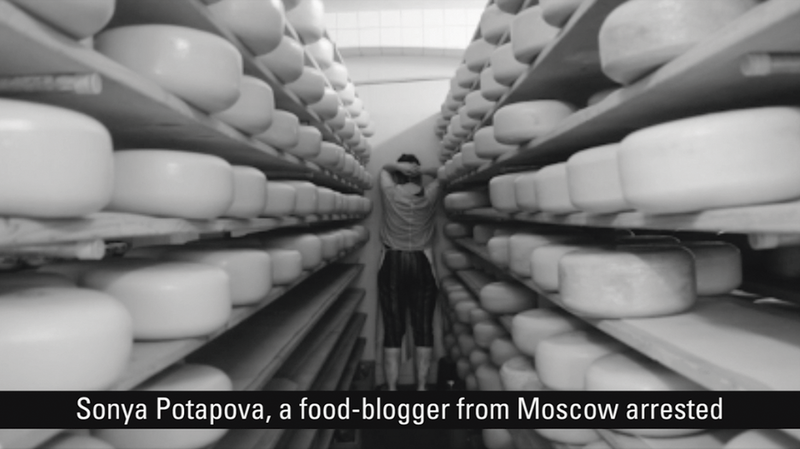 We follow Sonya as she encounters different aspects of cheese making. Cheese is a product that has a crucial link to the geographical area where it is produced. Anastasia demonstrates that geographical parameters are not the only aspects that influence taste. Psychology and nostalgia play an important role. With Sonya we find out about the possibilities of copying these aspects, but we also see the complexity and ridiculousness of doing so. Eventually we discover a new notion of cheese, one which breaks away from concepts like Protected Designation of Origin (DOP). Because even in an age of isolation people will want to taste their favourite foods.